Happy Friday dah-ling!! You guessed it, this week was another toughie in the life of this beauty blogger! I'm so grateful for every opportunity that has come my way and I'm really looking forward to sharing everything that I've been working on. I'm also thrilled that the weekend is here and I get to wind down a bit before I head to Vegas for the Stardust Tour. Today's post is a quick recap of my three weekly favorites: outfit, makeup and hair, centering around the oxblood color theme. I'm also including a sneak peek of one of the projects I worked on this week. Let me know what you think in the comments section! Read more for pix, details & makeup! OOTD: I've been obsessing over long coats, so when I saw the gorgeous silhouette of this oxblood number on Asos, I added it to my cart without a second thought. To my pleasant surprise, it fit like a glove and only needed a shortening of the sleeves (I typically alter 75% of my clothes, so this coat was practically perfect). I paired it with my favorite Seychelles wedge booties for extra height. I did it! I chopped my hair and I couldn't be happier :) I was going for something clean, light and airy and this is what my stylist came up with. What do you think? 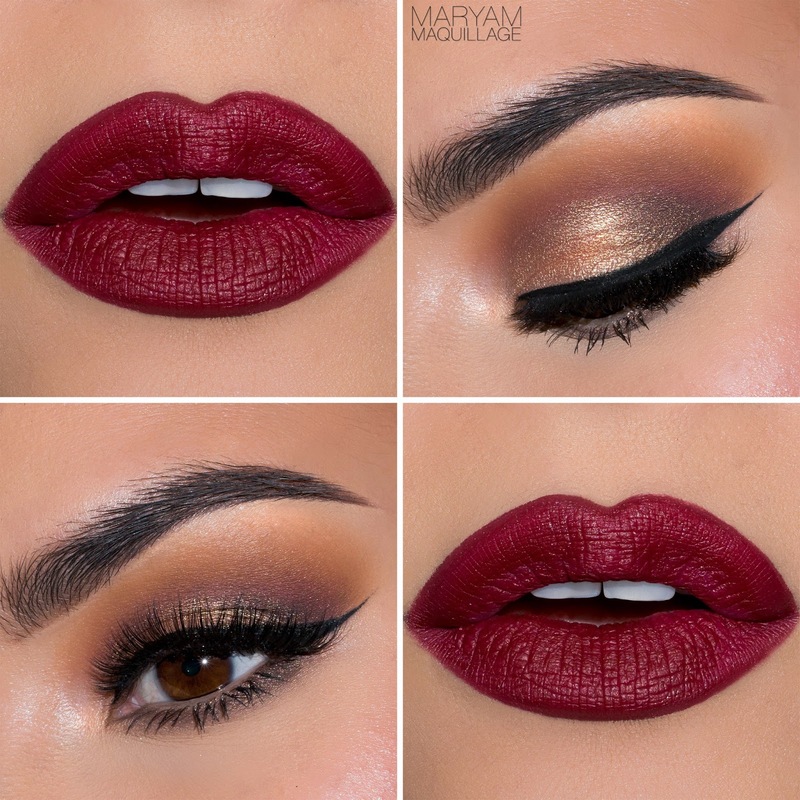 More oxblood theme on the lips (Lime Crime "Wicked" velvetine, worn in all photos) plus, a bit of ochre, burgundy and antique gold on the lids using various palettes (Urban Decay NAKED, Makeup Geek "Vegas Lights" & Lime Crime "Venus Palette"). Lashes are my fave "Emelie" from Flutter Lashes. and a sneak peek: hanging out with one of my favorite people, Teni Panosian, on the set for an upcoming L'Oreal project. Woo-Hoo!!! Fabulous Eskimo turns to gorgeously beautiful scorching & ravishing stunner.Love your flowing locks and and the splendid striped top with sensuous decolletage revealing peek a boo cleavage. Love & hugs. Ram. You look amazing (as always). Love the coat and the lippie. You look hot and so gorgeous. Love it! Linda de mais maravilhosa arrasou na maquiagem bjs.